What happens when an agency submits a candidate? The candidate MUST confirm their submission to be seen by the Employer, so this process is important for Agencies to understand. All candidates submitted through RecruitiFi must confirm their application before being presented to the employer. This FAQ outlines the confirmation process. Please note that Candidates will be ‘Unconfirmed’ until this process is completed. 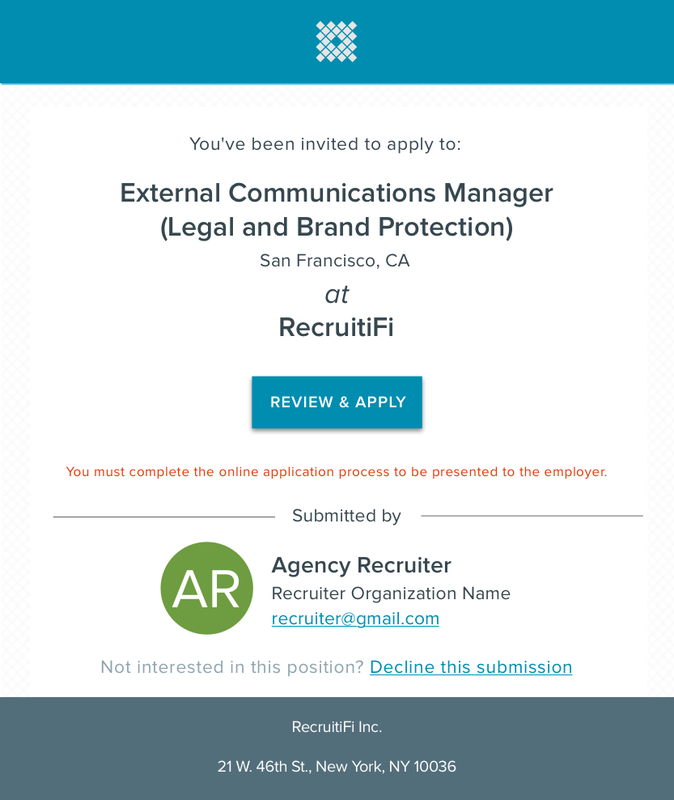 Once you click "submit" on the candidate submission form, your candidate will receive a confirmation email from no_reply@recruitifi.com and the subject is "Confirm your interest in this position at [Company Name]!" 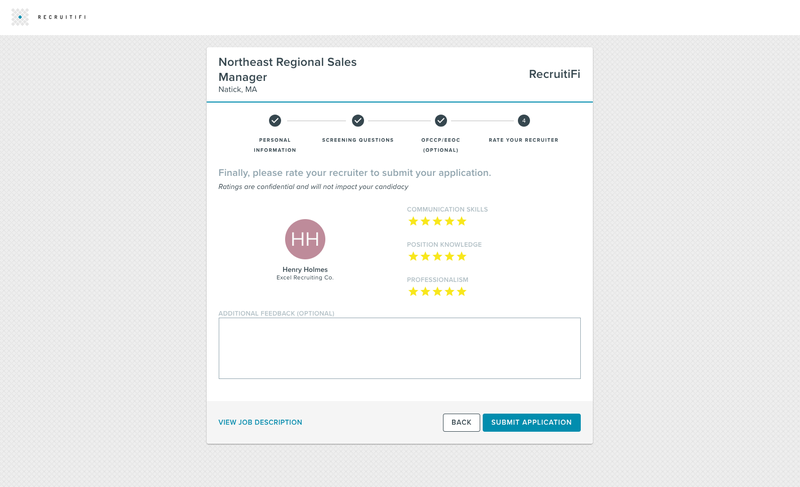 Upon clicking 'Review & Apply' the candidate is brought to RecruitiFi to complete the 3-4 step application process. Step #1: The candidate must confirm the contact information you submitted them under. They can also update their resume. Please note this is the only time a resume can be updated. Step #2: The candidate is asked to provide their asking salary, indicate if they will require visa sponsorship, and answer up to three screening questions. Please note the screening questions are viewable to you at the bottom of the JobCast Description Page. 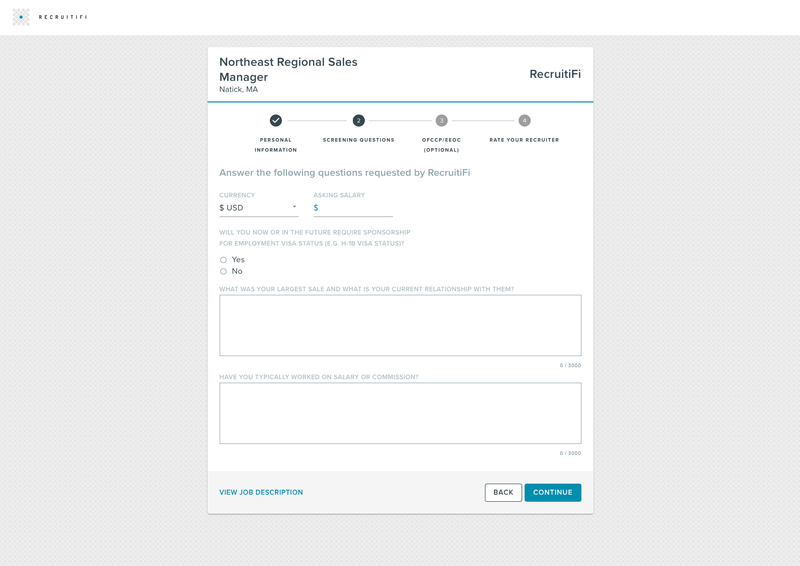 Step #4: Lastly, the candidate rates their experience with you as their recruiter, then clicks 'Submit Application' and the process is over. 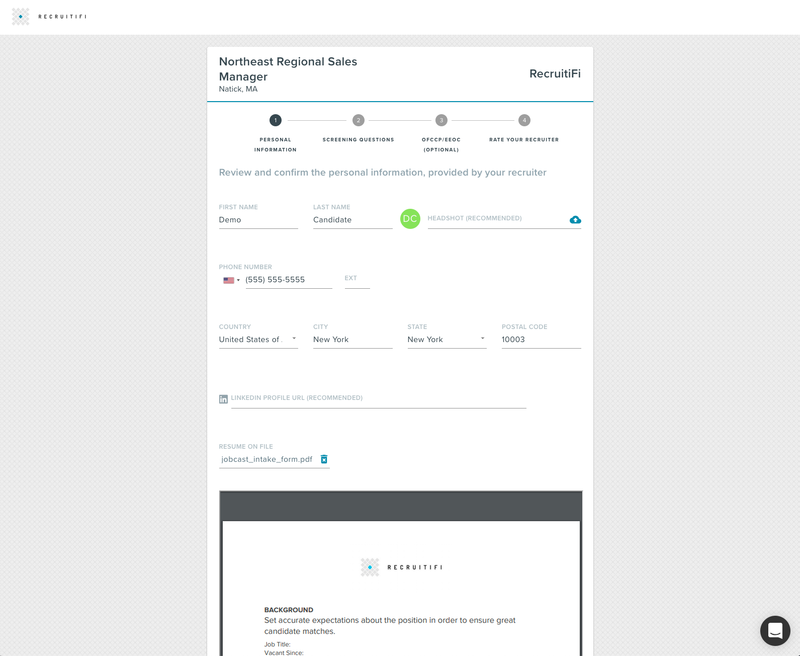 Once the candidate clicks 'Submit Application' their status will change from 'Unconfirmed' to 'Awaiting Sort'. IMPORTANT NOTE: If the candidate does not complete the application process, they will not be viewable by the employers. Before submitting your candidate, make sure you tell them to be on the lookout for the email. It's generally best practice to be on the phone with your candidate when you hit submit so you can ensure they open, click, and confirm their application. If your candidate applies directly to the employer, you risk losing ownership. 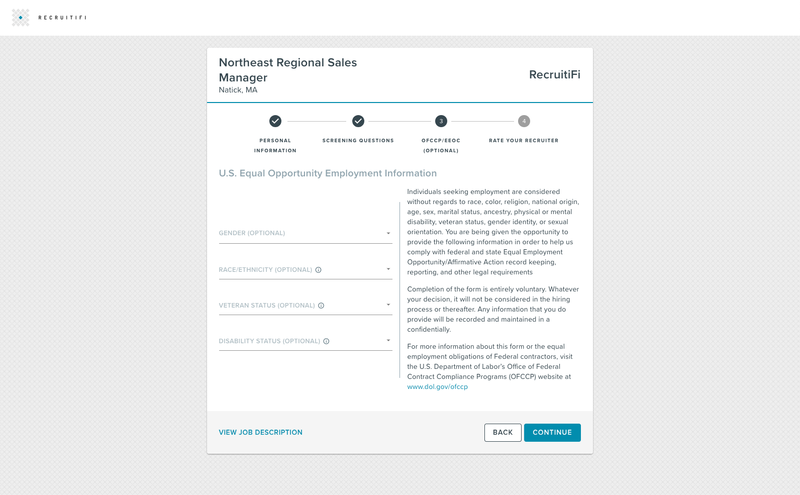 Make sure your candidate understands that being submitted through RecruitiFi fast tracks their resume to be seen by the hiring manager immediately. If they apply directly, they stand the same chance of getting lost in the employer's ATS as any other applicant.